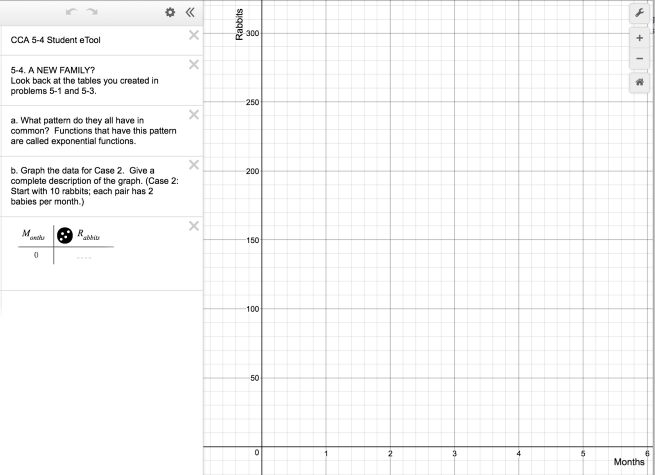 Click on the link below for the “5-4 Student eTool (Desmos)." 1. Problem 5-4: Input the data for case 2 (problem 5-3) in the table below left. Give a complete description of the graph.